When Fischer Audio asked me to hear their new dual driver IEMs, I was excited at that they were also going into these multi-driver units. The Russian Federation based company, Fischer Audio, created a new luxury brand called Kennerton and the Jimo is one of its first international products. Their philosophy is at designing headphones that don’t just look fancy but on designing sonic equivalents to the outer shells. The Jimo by Kennerton shares this philosophy throughout its entire existence. The shipping box was extraordinary in its presentation. It was a square box made of solid cardboard-like materials and opened up like a clam-shell. It was like getting proposed to with a diamond on the inside, except I found the Jimo there instead. The box had a very satisfying ‘snap’ when opening and closing it which adds to the prestige of the product inside; I appreciated the time and thought that went into the packaging to say the least. The Jimo is presented initially disconnected from its removable wires. The drivers themselves are featured prominently on the vertical slab of the shell with exquisite Kennerton branding hanging above it. The magic happens when you realize (if you didn’t already know it was removable) that the cables are stored in a pouch away from the drivers to further showcase the feature. Many companies leave the cables attached but I prefer how Kennerton went for a more showy presentation with the unboxing of these units. The main description of the Jimo’s state “Take that kilowatt stage loudspeaker…experience it with Jimo” .It was a statement that they were indeed separate and to also allow the user of hooking them up for the first time like you would those kilowatt stage speakers. The rest of the package includes a variety of tips and a decorative soft carrying case. The tips are laid out in a row above the speakers and include multi-flange tips and harder insert tips in red. I found the medium inserts to be best for my ears. The case is stored in a suspended platform below the top and can be revealed by pulling the upper board out through the cable storage hole. It includes some clips on the inside of the shell in its web pocket; it’s kind of cute to be honest. The case is technically a soft case but it is hard and sturdy enough to survive most situations you will be using it in; the case doesn’t bend and keeps its shape well. The build quality of the Jimo is top notch. It has a finely machined outer shell that is precise and brilliant in the light. A lot of work most likely went into modeling the fit into a human ear and the angles they would need to provide a comfortable dual driver fit in such a space. The drivers, despite looking impossibly big, glide into your ears and fit with quite ease. I love design that works despite how it initially works! The Jimo’s detachable cable also sport the same high quality design philosophy. They are laid in a black plastic coating with some slight twist in the cables beneath. The terminating jack to your DAP has a 135 degree angle to it which makes unplugging a breeze without too much stress on the cable itself. Lastly the attaching points on the cable to the drivers are well designed and built. They simply pop into the drivers and fit snugly. I wouldn’t worry about the drivers disconnecting unless a serious pull was given and an opposing force was put on the drivers. Your cable being caught in the door and pulling on them will not cause the driver to come loose in normal situations; your investment is safe! While the cables do produce some tangling, I found the plastic shell makes it easy to untangle either by itself or by taking the drivers off. Packing it into the reinforced soft case and pulling it out rarely causes an issue in getting the earphones into shape. The rare times I’ve had issues were when I stuffed it into the bag. But even then, disconnecting the drivers first by taking less than a second to ‘pop’ emo off will get this issue solved. I’m giving the JIMO leeway here because it is a dual driver unit. Very few drivers of this size have the untangling prowess this unit has. Which is by no means fantastic (as you still need to disconnect the drivers if it’s too tangled) but better than the competition. The JIMO’s do not require any special DAP or amplifier to drive them. They are efficient enough that a normal smartphone or consumer media player will do. But considering the price range and audience they are targeted at, I’m sure many of you will want to pair these up. I recommend going with something like the DACMAGIC XS or FiiO X7 as the warmer amps in them really jive with the JIMO. The sound signature of the Kennerton JIMO’s is fun with a balanced tonal split. It’s without a doubt very accepting of almost every genre you can throw at it without offending the ears by being too hot in frequency amplitudes. The balanced split puts it where most ranges are represented well. The bass and treble representation was something I enjoyed very much on the JIMO. It was a great match for hip-hop songs like that of “Amber Alert” by Lil Dirk. The bass beat was quick with a thick bite and followed the vocal rhythm very well. The background elements were a little faded off but all in all, the tuning to produce this uniform sound is quite interesting. It’s dark and hits right where hip-hop wants you. Spatial elements are something the JIMO excels at. In The Eagles “Hotel California” album and song, it’s really not about the individual frequencies but the combined prowess of them. The soft voice of the vocalist Don Henley and the encompassing instruments that produce the iconic beat were among the best representations of this song I’ve heard sub $300. Did I mention that the drums produced a physical thump and impact? Well they do, and it’s quite a subtle thing that really adds to the music without overdoing it as you feel like you are essentially listening to a speaker system. The guitar solo in “Hotel California” was executed well by the JIMO and certainly gives the IEM some street cred. It was fast and had some genuine ‘star power’ to its delivery. The problems come then, in that the JIMO has a fairly short treble extension. It never gives you the full range of what you want to feel, hear, and breathe from the music and so it comes off as a bit anemic to some. It is a short coming of an otherwise strong product that I’m criticizing mainly because of how close it is to the real deal. I dig the sound of the JIMO no doubt, and it’s only due to this respect that I wish we had a bit more extension and tenacity that active listening audiophiles want from their units. The guitar solo put me in the zone, I was THERE, it just didn’t have the bite to carry it through. The JIMO has a lot going for it. It’s a package deal all-in-one that gives you most of the experience that the big boys get at a great price. It falls short when you want to hit the home room to the ball park. Despite this, I believe the JIMO has a place for those that want a pleasurable semi-passive listening experience. It behaves sonically competitively to other units in this price range with the added bonus of its build quality and innovative design. It doesn’t offend in any of the frequency ranges and has the oomph to rock your way to heaven or produce a sick beat to your latest mix tape. 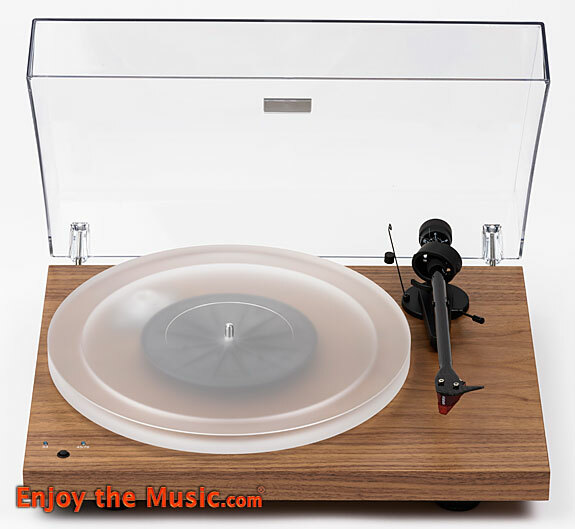 Overall, I like the innovation that Kennerton by Fischer Audio has put into these products. The JIMO really lets you just sit down and chill with the music. It’s a compact offering that you can take anywhere and use with pretty much everything. If you’re looking to experience some dual-driver fun to go with your new full-size headphones, then definitely check out the Kennerton JIMOs!